A mother-in-law unit is being built over a garage in Boise. The changes come after feedback from Boise residents who are looking for ways to create more affordable housing. BOISE, Idaho — An update now to a story we first brought you last month. 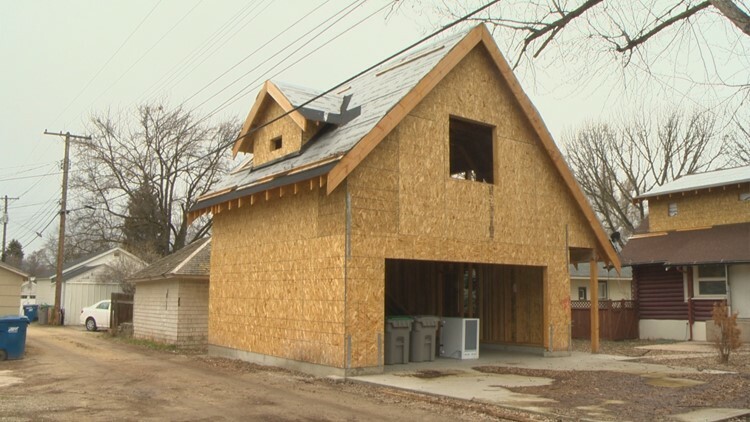 After hundreds of responses from the public, the Boise City Council says they're easing the requirements to make "accessory dwelling units" more accessible. An "accessory dwelling unit" is a smaller home or detached garage on the same lot as the main home. You may also know them as "mother-in-law" suites. RELATED: Are 'mother-in-law suites' a solution to Boise's affordable housing dilemma? Tuesday's changes from city council come after feedback from Boise residents looking for ways to create more affordable housing. Those changes include allowing two bedrooms instead of one, requiring an on-site parking spot and increasing the allowed size up to 700 square feet. One possible change discussed earlier would have eliminated from city code the requirement that the unit's owner live on site. However, because of feedback on that issue, the city council has directed staff to not include that proposal. Residents opposed to that change expressed concerns that short-term rental services would disrupt neighborhood character. The updated ordinance will be presented to the public for comment, then formally adopted by the council in the coming weeks.